Our Team - Osceola Veterinary Clinic, P.C. 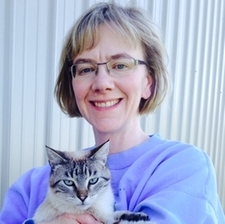 Dr. Judy Little is co-owner of Osceola Veterinary Clinic. She has been with the clinic since 1997. 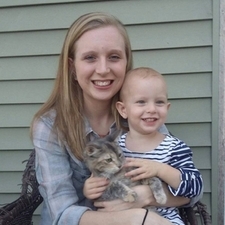 She loves working with dogs & cats and their families. She and her husband, Eugene, live on his family farm with their son, Daniel, their mixed-breed dog, Rico, an assortment of barn cats, some chickens & rabbits. They also raise beef cattle & hogs. Dr. Rich Caves is co-owner of Osceola Veterinary Clinic. 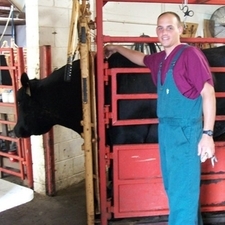 He completed his undergraduate degree in Biology at Central College in Pella and received his DVM from Iowa State University in 2010. Rich grew up on his family's farm north of Oskaloosa and has been actively involved with the farming operation with his father. Dr. Caves enjoys seeing appointments for both livestock and pets. wife, Tiffany and sons, Kipton and Grayson. 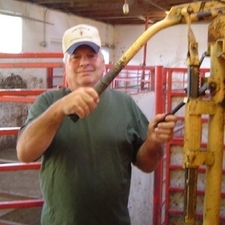 Jared has been with our clinic since 1978, assisting with livestock & horses. He has experience matched by few. In his spare time, he enjoys spending time with his extended family. Callie graduated from I-35 where she was a member of FFA. In 2017, she completed her Veterinary Assistant Certificate at Kirkwood Community College. She especially likes working with dogs. When not working, she enjoys photography & baking as well as spending time with her friends & family. Chaundra grew up in Leon and is a graduate of Central Decatur High School. She earned her BS in Animal Science from Northwest Missouri State in Maryville, Missouri. Her favorite animals are pigs and cats. She and her husband have two children who keep her very busy. 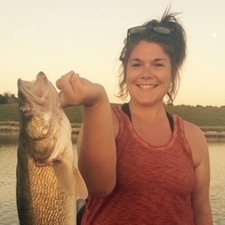 Tarah is a graduate of Iowa State University where she earned her BS in Animal Science. After working at Trans Ova Genetics, she joined us in 2018. 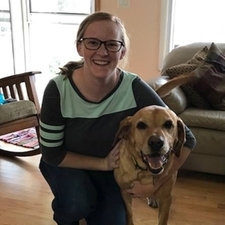 She mostly assists during appointments involving large animals, but you will also find her in the clinic answering the phone and helping clients with their dogs and cats. She loves the outdoors and shares her home with an Austrailian Shepherd and two Labradors.